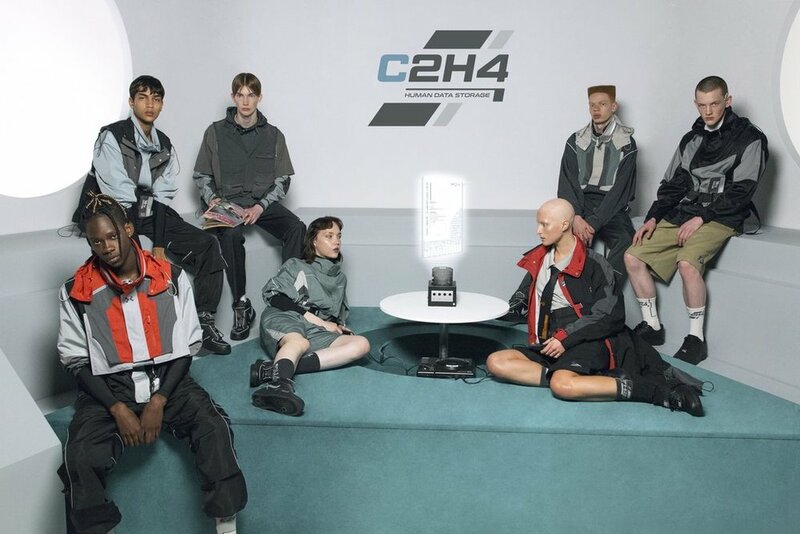 Los Angeles based brand C2H4 has recently launched its Case#R000 “FM-2030” collection, two months later their debut at Paris Fashion Week. The new lookbook showcases C2H4’s signature functional pieces. The entire collection includes diversified pieces, which are designed with zipped compartments, resistant fabrics, and drawstrings. The garments feature t-shirts, hoodies, trousers, shorts, sleeveless jackets, and accessories. The images are styled in a futuristic manner with retro tips.